Known as “Father of Indian Chemistry”, Prafulla Chandra Ray was a well-known Indian scientist and teacher and one of the first “modern” Indian chemical researchers. He discovered the stable compound mercurous nitrite in 1896 and established Bengal Chemical and Pharmaceutical Works Ltd, India’s first pharmaceutical company in 1901. Also a very passionate and devoted social worker, he did not support the caste system. 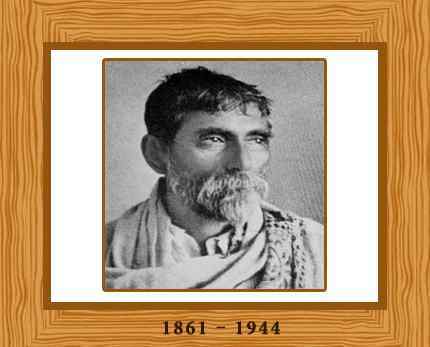 Prafulla Chandra Ray was born on 2 August 1861, the younger of two brothers, in the village of Raruli-Katipara, now in Bangladesh. His father, Harish Chandra Ray was a landlord who loved learning and he built up an extensive library in his home. Prafulla’s mother, Bhubanmohini Devi was well educated with liberal views. The family moved to Kolkata when Prafulla was nine years old and he attended the Hare School. Unfortunately, Prafulla fell ill and returned to his village in 1874. It took two years for Prafulla to recover and he was left permanently frail with digestive issues and insomnia. During his recovery he enjoyed reading in his father’s well equipped library. He returned to Kolkata and attended Albert School and in 1879 and, after passing the entrance exam, began studies at the Metropolitan College (now Vidyasagar College). Prafulla also studied chemistry at the Presidency College and this soon became his favorite subject; he built a laboratory at home and began experimenting. In 1882, Prafulla won a scholarship to Edinburgh University, UK and he gained his degree there in 1885. Remaining at Edinburgh to undertake research, he was awarded a D. Sc. in 1887 and the “Hope Prize” for his thesis on “Conjugated Sulphates of the Copper-Magnesium Group: A Study of Isomorphous Mixtures and Molecular Combinations”. Prafulla Ray returned to Calcutta in 1888 and became an assistant professor of Chemistry at the Presidency College in Calcutta in 1889. He established a research laboratory and slowly gathered a group of dedicated students who researched with him. He published around 150 research papers during his lifetime. Many of his articles on science were published in renowned journals of his time. His research included the discovery of the stable compound mercurous nitrite in 1896 while studying nitrite and hyponitrite compounds and their compounds. He also researched organic compounds containing sulphur, double salt, homomorphism and fluorination. In 1892 with a small capital of 700 INR, he established Bengal Chemical Works. It flourished under his management. The company initially produced herbal products and indigenous medicines. In 1901 the enterprise became a limited company, Bengal Chemical and Pharmaceutical Works Ltd (BCPW) and India’s first pharmaceutical company. Gradually, the company expanded and became a leading chemicals and medicine producer. Prafulla Ray was interested in ancient texts and after much research published “The History of Hindu Chemistry” in two volumes in 1902 and 1908. The work detailed the extensive knowledge of metallurgy and medicine in ancient India. In 1916 Prafulla Ray retired from President College and joined Calcutta University where he worked for more than 20 years. He represented many Indian universities at international seminars and congresses. He was elected as the Indian Science Congress President in 1920. His autobiography “Life and Experiences of a Bengali Chemist”, published in two volumes in 1932 and 1935 documents his own motivations as a scientist and the sweeping changes India was experiencing during his lifetime. Prafulla Ray wanted to use the marvels of science for lifting up the masses. He was a very passionate and devoted social worker and he participated eagerly and actively in helping famine and flood struck people in Bengal during the early 1920s. He promoted the khadi material and also established many other industries such as the Bengal Enamel Works, National Tannery Works and the Calcutta Pottery Works. He was a true rationalist and he was completely again the caste system and other irrational social systems. He persistently carried on this work of social reformation till he passed away. Remaining a bachelor throughout his life, Prafulla Ray retired becoming professor emeritus in 1936 aged 75. He died on 16 June 1944, aged 82.